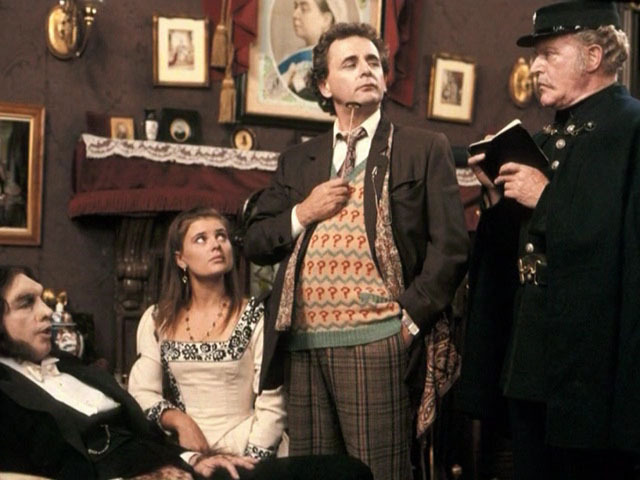 Ghost Light: The Doctor Who serial that can still leave you in the dark. Summer is upon us, here in the Northern Hemisphere. The year has been quite a blur so far, with lots happening in a personal sense, so this has taken me by surprise. As usual, I’ve left all my summer event planning to the last minute. I missed Glastonbury Festival, again, but there are plenty of smaller festivals worth an investigation. I’m considering The Beacons Festival in the Yorkshire Dales, as it’s out in the country enough without going too far out of my way. However, more to the point, I need a trip away to somewhere that’s likely to be sunny (The Yorkshire Dales don’t count!) Now, this year, that’ll probably mean an adventure as I’ll be travelling alone. The time I have off doesn’t fit in with friends’ plans, so what else can I do eh? I haven’t travelled abroad on my own before, but I’m single and now without the luxury of a companion it’s time to take matters into my own hands. It’ll have to be a destination with something cultural and creative in store, if only so I can write about it. And take photographs. Lots of ’em. However, on a far more local level, there is a great exhibition coming up at Manchester Art Gallery. Make every show like it’s your last, is a major exhibition of work by renowned British conceptual artist, Ryan Gander. As the website says, “This show is part of an international tour programme but will take on a special new form when it is staged in Manchester, presenting new work and work previously unseen in the UK”. Check it out,and might see you down there on Saturday. Elsewhere in the city, ever talented folkie Beth Orton is performing her 1999 album Central Reservation in its entirety in the wonderful venue that is Manchester Cathedral. I’ll be there on Wednesday (2nd July), and might even tell you about it. if you’ve got any live events coming up, or have recently been to one, tell us all about it. One of my favourite plays is also being performed at The Royal Exchange: Keith Waterhouse and Willis Hall’s Billy Lair. Anyone fancy this?